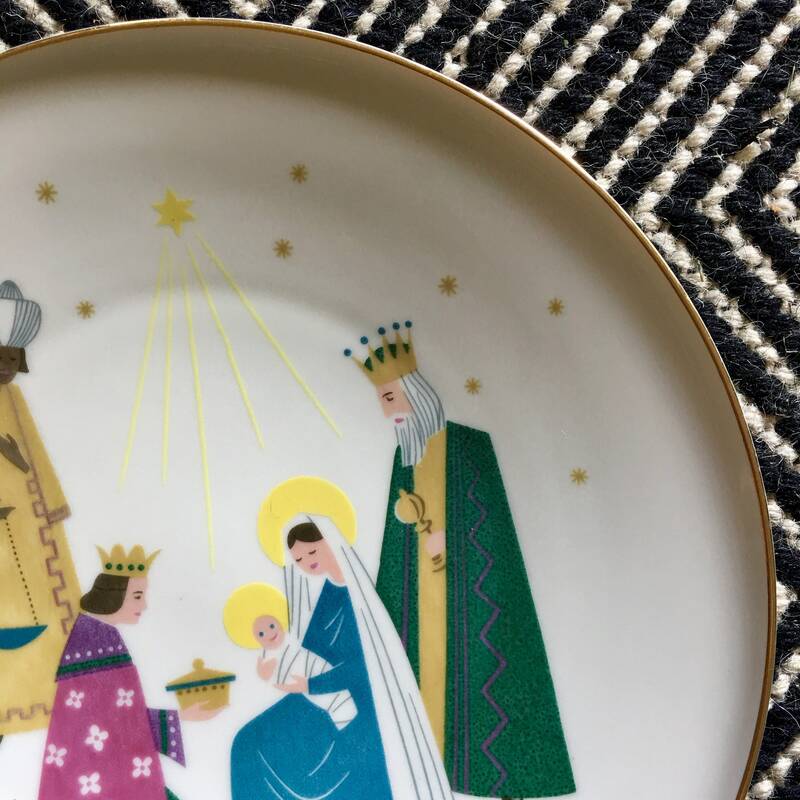 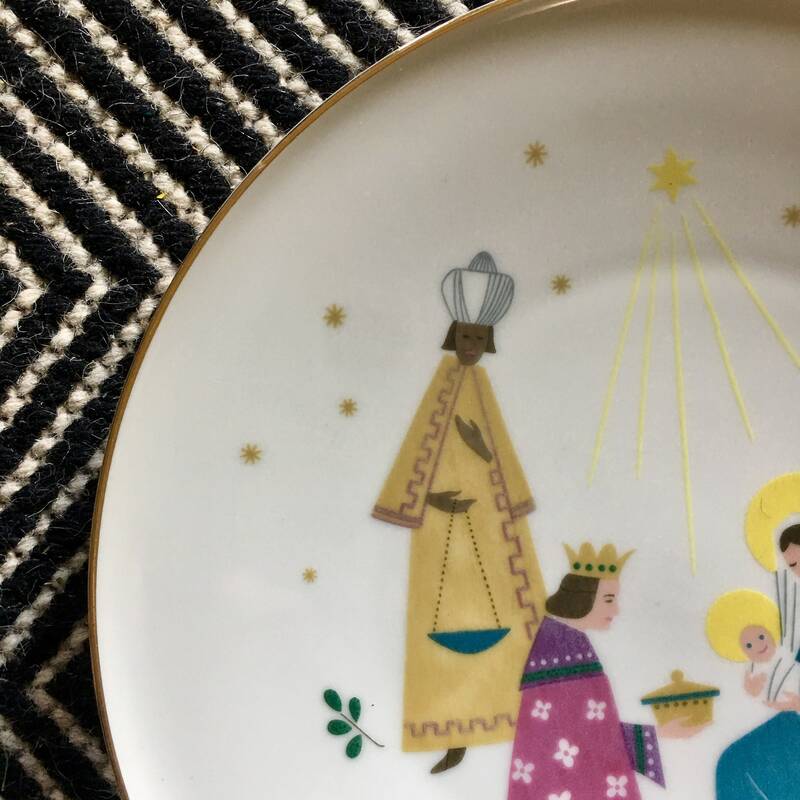 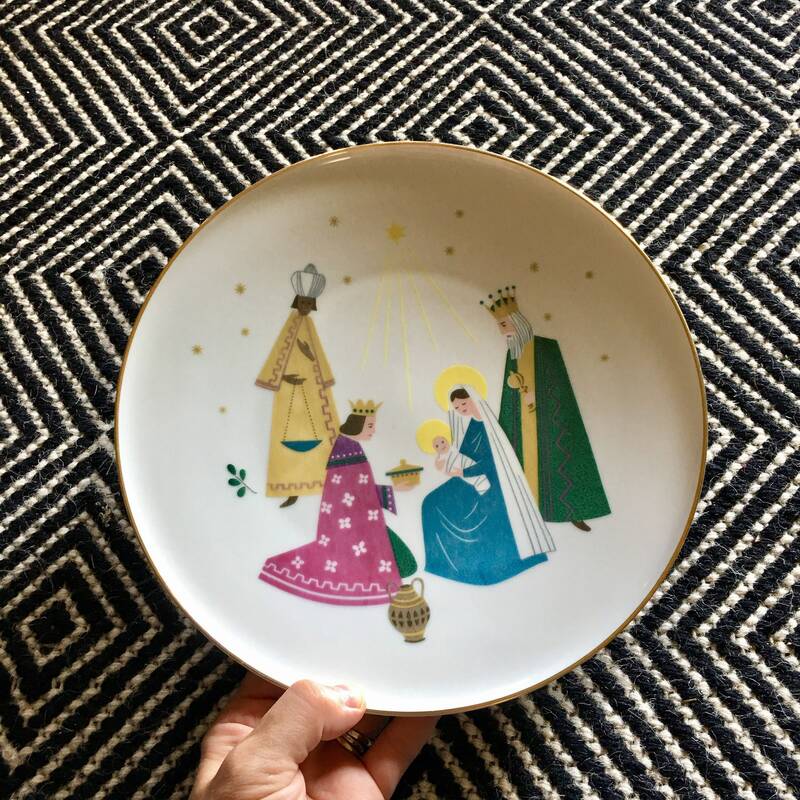 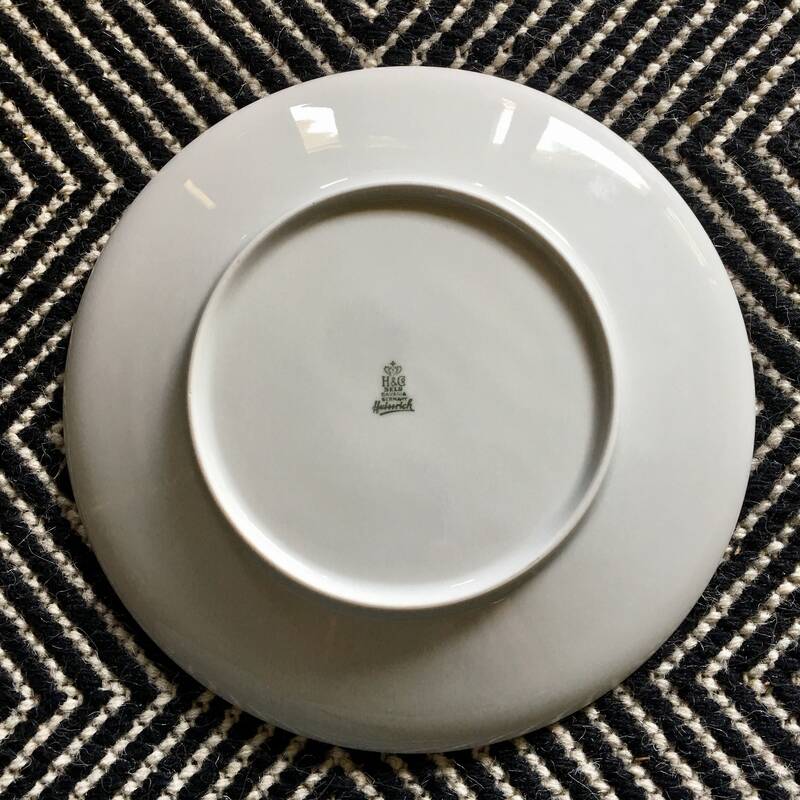 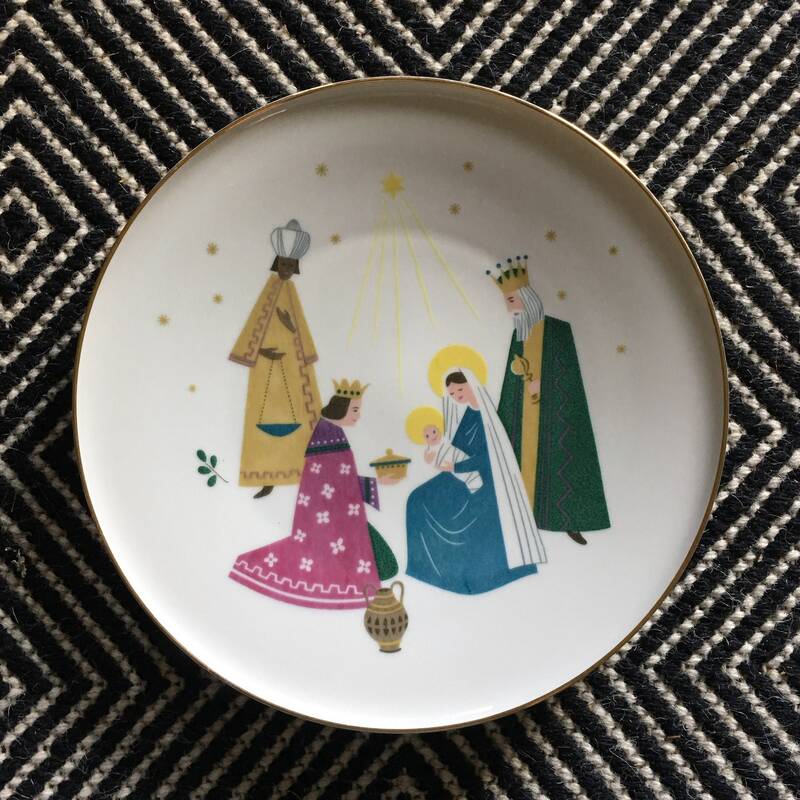 Vintage gold rimmed mid century modern Christmas plate featuring the nativity scene - Mary, Jesus and the three wise men. 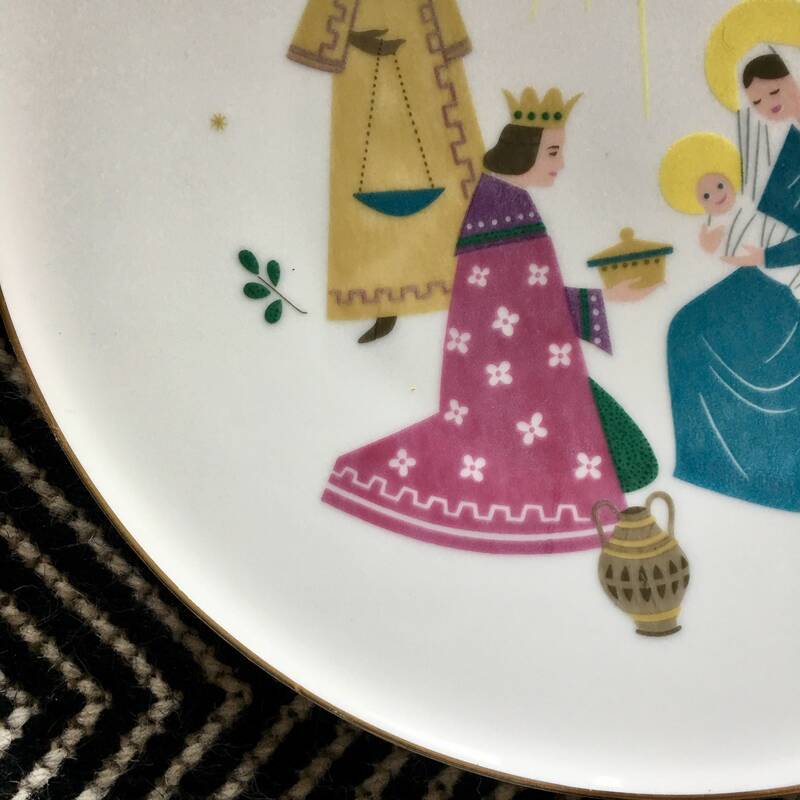 Modern colors include chartreuse, magenta, teal and yellow. 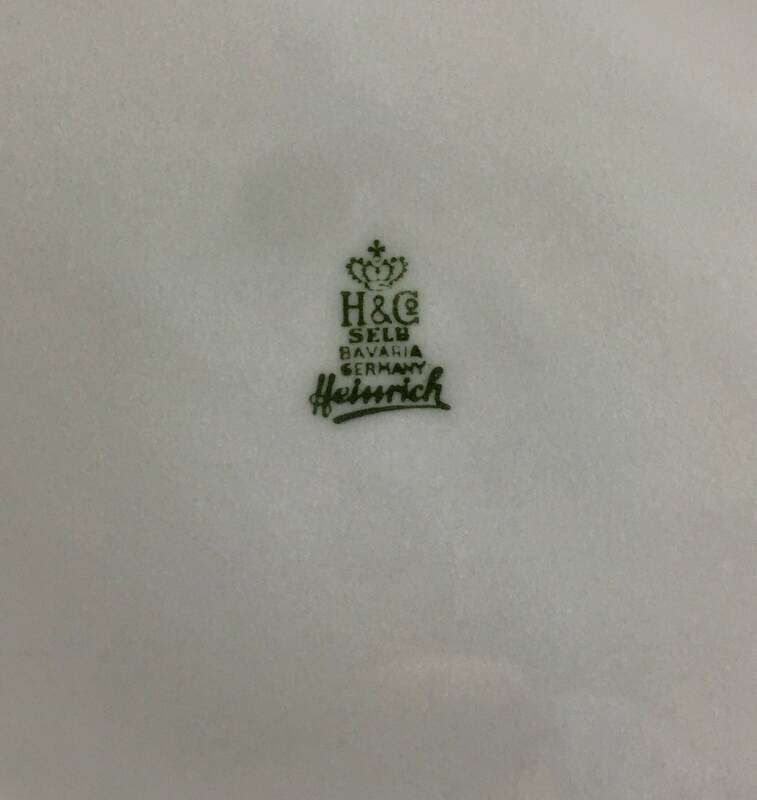 Marked H&G Selb, Bavaria, Germany, Heissrich on the back side. 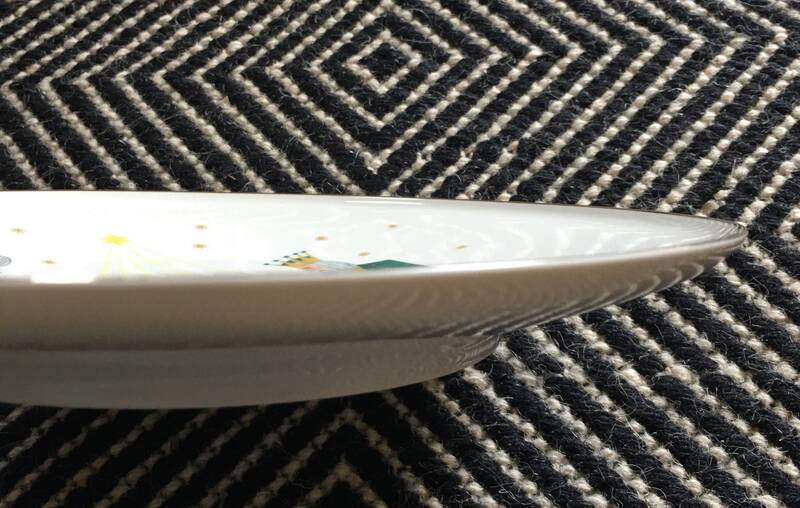 No chips or cracks - excellent vintage condition. 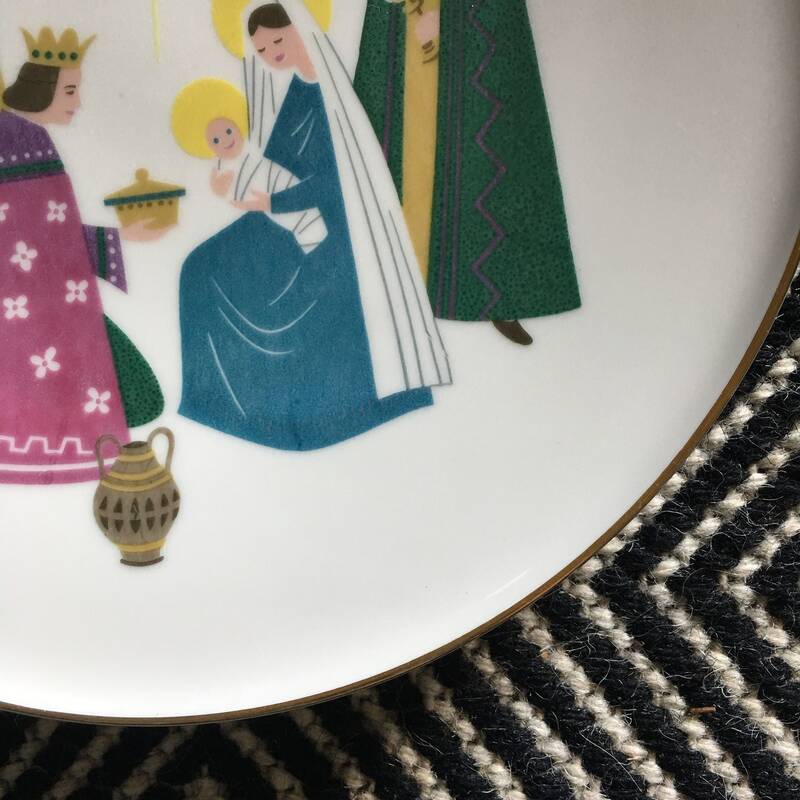 Love the Santa cups, they are adorable.